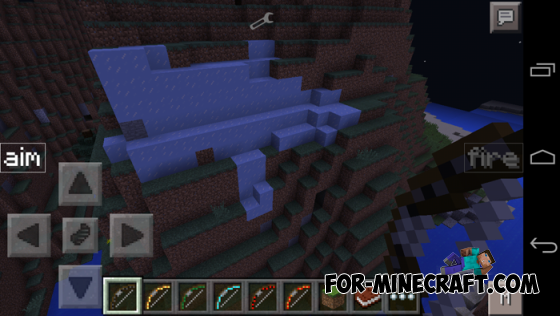 This mod is a remake of the popular DesnoGun mod, it uses the interface of this mod, but adds very different things - bows. 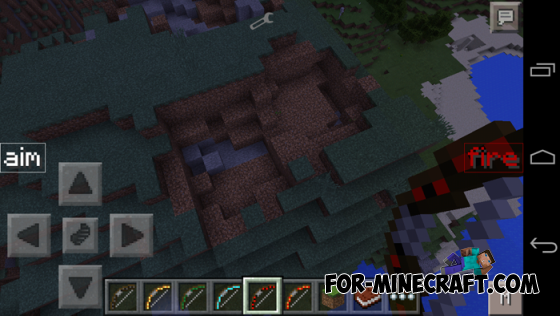 Take liked bow you will have a button «aim and« fire », but do not forget that you need regular arrows to shoot! 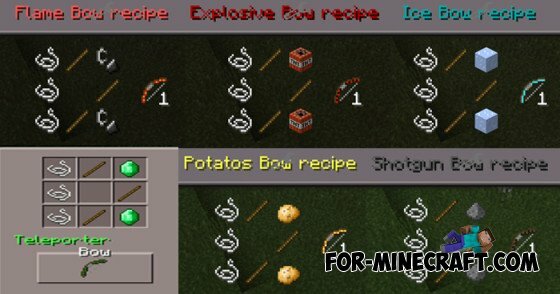 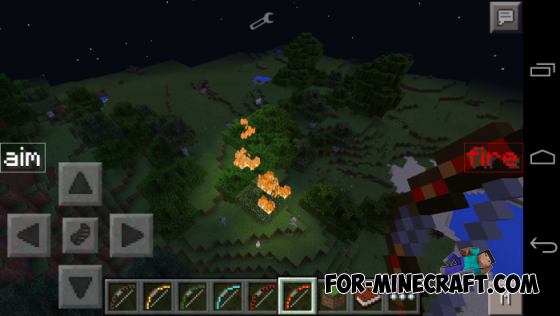 In total there are 6 bows - fire, ice, potato, explosive, bow-shotgun and bow-teleportation. 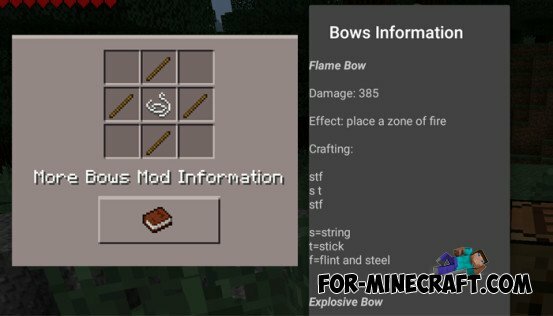 Each bow is its ability!